Product prices and availability are accurate as of 2019-04-20 14:47:32 UTC and are subject to change. Any price and availability information displayed on http://www.amazon.com/ at the time of purchase will apply to the purchase of this product. Made from 100% recycled rubber granules, this material is extremely robust and weatherproof, and the roughened surface of the vibration isolators also provide firm support. 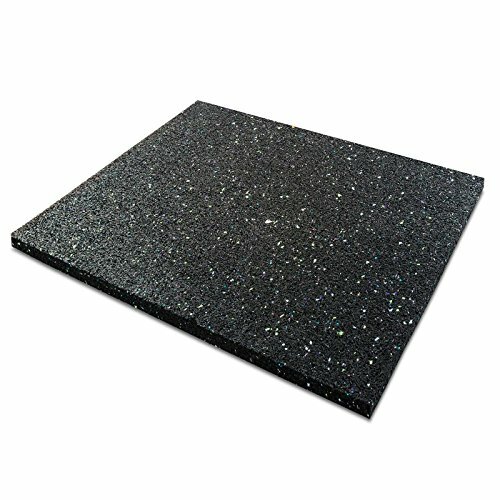 The durable and low-abrasion rubber mats are also suitable for damp rooms. In order to increase the load capacity, it is possible to place another mat on top. For increased stability and shock absorption, place a metal sheet in between the two layers.